Languages Spoken: Marathi, Hindi and Kannad. 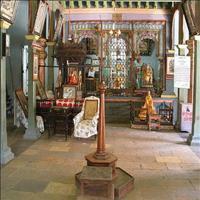 Solapur is an ancient historical and religious place in the state of Maharashtra. Now, an important industrial city, Solapur is a leading center for cotton mills and power looms. 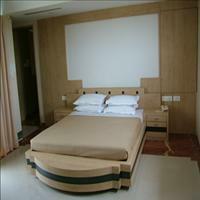 Solapur bed-sheets have earned fame and reputation for their novel designs and durability. It is also famous for its Handloom, Power loom and Beedi Industries.<br />In early centuries the city belonged to the Hindu Chalukyas and Devagiri Yadavas, but later became a part of the Bahamani and Bijapur kingdoms.<br />Solapur was ruled by various dynasties such as Andhrabhratyas, Chalukyas, Rashtrkutas, Yadavas and Bahamanis.<br />The name Solapur means a 16 (sola) villages coming together. But researchers say that the place had a Kannad name, Sannaliga, which eventually became Sonalpur. The Mughals called it as Sandalpur and the British started addressing it as Sholapur and hence the present name Solapur.<br />A visit to the handloom factories of the Solapur bed sheets and the sugar factories are definitely different from the normal sightseeing and interesting as well, which can be arranged at prior notice. 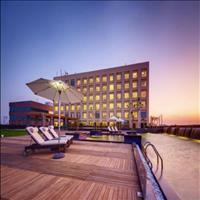 Solapur is situated on the south east fringe of Maharashtra State around 450 km from Mumbai. It is entirely in the Bhima and Seena basins. The district is bounded on the north by Ahmednagar and Osmanabad districts, on the east by Osmanabad and Gulbarga (Karnataka State) districts, on the south by Sangli and Bijapur (Karnataka State) and on the west by Satara and Pune districts. Solapur is meeting ground for Maharashtra and Karnataka and has been the trade route since ancient times. This ancient temple is located on a hill known as Yamunachal, on the slopes of the Sahyadri range near Solapur. The temple entrance is at an elevation and visitors need to transcend a flight of steps to reach the shrine. Historic records speak of the existence of this temple from as early as the 12th century. 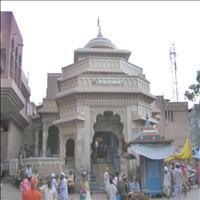 The temple is dedicated to Tulja Bhavani, a form of Durga or Parvati. The idol, a three foot high granite image, with eight arms holding weapons, bearing the head of the slain demon Mahishasur is also around 800 to 900 year old and legend says that it was this deity who gave Shivaji a sword to fight against the Mughals. 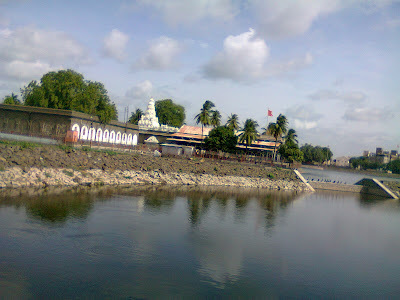 Akkalkot is a holy place of Swami Samarth Maharaj, great saint. It is 38 km from Solapur. This Saint is believed to be the reincarnation of Lord Dattatraya, the three headed God. 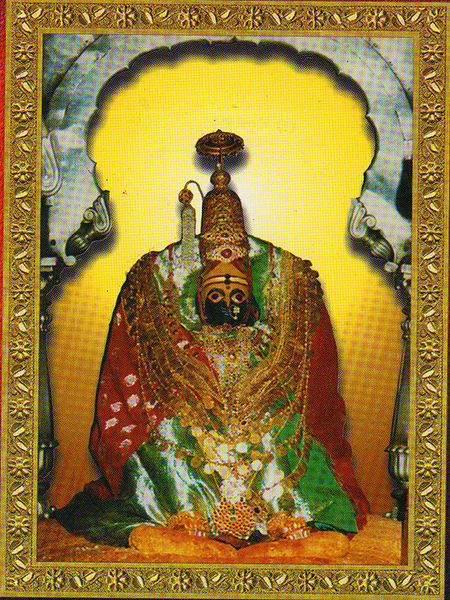 The Samadhi of this Saint is worshipped by the devotees. 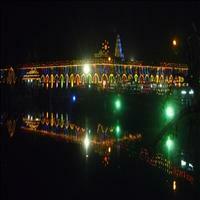 The chief deity of the city is Siddheshwar. The temple located in the heart of the city is surrounded by a large water tank which gives an impression of an island. 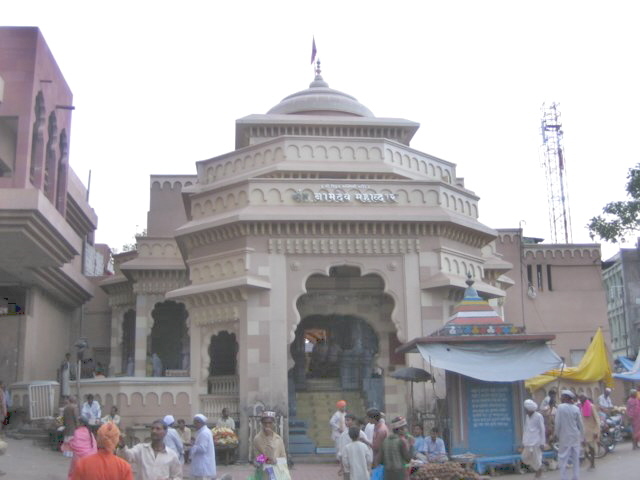 The temple is dedicated to a saint called Siddharam. A young girl, inspired by his teachings wished to marry him but he refused and instead asked to get married to his Yogadanda, i.e. his stick. The same marriage function is celebrated every year on the Makar Sankranti on the 14th of January.